The Milwaukee Brewers have sent him West for 3 minor-league pitchers..
Jonathan Papelbon...Are you kidding me ? Winter Meetings Wrapping up...who's left ?? Whats going on with the Yankees ? Why hasn't Cueto signed yet ? 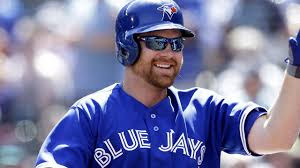 Ross Atkins close to making a deal ? Would Alex have done more by now?